How much more could you earn if your prospects didn’t object to your prices? You’d close more sales and be more successful. Like most service professionals and small business owners chances are you struggle with objections to price on a daily basis. You lose business because prospects get stuck on price. Your pricing will never satisfy everyone but the following ideas will help you eliminate pricing objections from the majority of your buyers. One of the biggest marketing mistakes you can make is to start by marketing to a prospect’s head instead of their heart. If your marketing materials and presentations lead with a presentation of the product or service features and/or your own credentials, this is the wrong information to present up front to prospects and can hinder the sale of your products and services. The majority of purchases are ultimately based on emotion. Vehicle purchases are a great example. Sales of 4 wheel drive SUV’s has soared despite the fact 90% of the buyers never go off road or need the 4 wheel drive functionality. Porsche sales have grown steadily, despite the fact that most often their owners use them around town and in traffic, rarely if ever driving at the over a hundred miles an hour they are easily capable of going. Your prospects buy your products and services for their own reasons, not yours. Get their attention by focusing your marketing on their concerns. Use questions to bring their emotional reasons for making a purchase into the conversation. When you present the benefits of your products or services, do so in the context of your prospects’ emotional interests. – Are you marketing to your prospects hearts or their minds? Marketing is about helping prospects make decisions. If you understand the emotional reasons your prospects use to justify a purchase than you can pitch to their emotions in your advertisements, on your web site, in your brochure and in your presentations and conversations. – What are the emotional reasons your prospects buy? – What questions can you ask to get prospects to describe the value of your products and services? 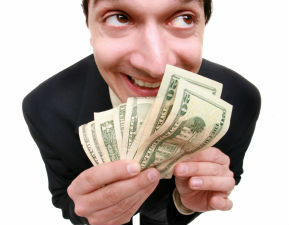 A price of ten dollars or ten thousand can scare your prospects away if you give it to them too soon. After prospects’ have defined the value of the service or product they’re interested in and can see themselves usingit, then and you present your pricing, they are much more likely to buy. – Are you presenting your pricing information too soon? Increase your sales by pitching to your prospects’ reasons for buying. Use your questions to help prospects define the benefits of your products and services in their own words. They will have far fewer objections to price and you’ll make more money.